Historically, roulette is a game that has been tampered with and rigged for personal gain, with several different methods and schemes having been trialled and implemented by individuals and groups – some successfully, some unsuccessfully and almost all culprits having been arrested, in the end. But today, within land based casinos (brick and mortar casino venues), it is near impossible to rig a roulette wheel, with unprecedented high levels of security in place to ensure casinos remain fraud-free and to ensure any threats are dealt with swiftly and effectively. And how about Internet based casino sites? The online realm of gambling is always susceptible to fraudulent and corrupt behaviour, and this is why it is imperative to only access and play at online and mobile casino platforms that are licensed, registered and independently regulated by gaming governing bodies and player protection and fair gaming testing agencies. The 1973 radio transmitter and radio receiver cigarette scam – A group of three people (including a roulette croupier) fit a transmitter into a cigarette package and a receiver inside the roulette ball, giving them the ability to control (to an accuracy of 90 per cent) what section of the wheel the ball would land. Sector targeting at the Ritz Casino in London – A group of three schemers developed scanners in their mobile phones that were connected to a computer – technology that could judge the speed of the roulette ball, calculate its orbit and determine the section it was most likely to fall into. Two university students also utilised a similar ‘sector targeting’ method to determine the fall of the ball, placing a miniature computerised receiver and emitter inside their shoes (one device reportedly short-circuited and set the student’s socks on fire). Battery-powered buttons attempt – Another example of a rigged roulette table was uncovered as recent as 2016, by the gaming company Guildford. The company discovered a rare table they owned was fitted with hidden battery-powered buttons that would disrupt the spin of the ball. The table (and possibly many other like this one) was used during the prohibition era in the 1920s, by Al Capone and the mob, when he and his group had mass control of the Chicago underworld. Croupiers could manage where the ball would fall in order to fix the game in favour of the house. The above scenarios demonstrate the prevalence of rigging roulette wheels and the random outcomes of the drop of the ball, however, today it is far more difficult to pull of such schemes, by either the house or the customers. Having said that, unregulated brick and mortar casinos that are operated by shady organisations may very well illegally tamper with their equipment so roulette and other games unfairly favour the house. This is why, if you are gambling at land based casinos around the world, it is crucial to play at licensed venues. Technically, any online gaming operator has the capacity to rig their software in an unjust and criminal way that chiefly benefits their business. However, like in the world of regulated land based casinos, regulated Internet based casino sites have an obligation to offer fair, random and non-tampered with casino games to their members. The Internet casino sites that we recommend international players in countries where online casinos are legal gamble with are fully licensed and registered by the appropriate gaming governing bodies such as the U.K. Gambling Commission, the Malta Gaming Authority and Curaçao eGaming. They are all also regulated by independent testing agencies such as the eCommerce Online Gaming Regulation and Assurance body (eCOGRA) – agencies that check to ensure all software and services meet their approved standards of interactive gaming requirements. The random number generated (RNG) roulette (and other gaming) software provided by legitimate Internet casinos, is tested to ensure it is balanced on a regular basis. The desire to build strong reputations and an avid customer base means that these interactive gaming operators and Web based software designers always want to ensure their products and services remain fair. Fraudulent and cheating online and mobile gambling platforms will always be detected by unhappy customers and independent auditing sites and gambling forums, like our website. Live dealer roulette games are also offered at licensed Internet gaming sites, where professionally trained croupiers are in charge of real roulette equipment, operating their games under heavy scrutiny from adjudicators and of course, live streaming video surveillance. 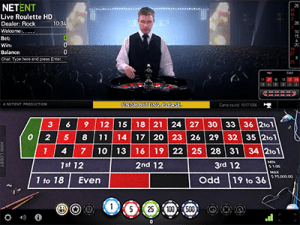 Here players can see the transparency of the games, joining in on the action from their desktop, laptop, mobile or tablet via the high definition and live feeds of the roulette gameplay (and other favourite titles). Place your real money wagers and chat with the croupiers, and see the wheel and ball spin in stunning HD quality. Note that there will always be a house edge (also known as a house bias) when you are playing roulette games, where the games’ odds are always slightly in favour of the house. The casino needs to make a profit for the business to continue to operate successfully and to continue to provide quality gaming products. This is not considered ‘rigged’. It is also important to note that the house edge of Internet based roulette titles is lower than that of roulette games within land based casinos – online casino operators offer low-limit European roulette games (single zero variant, for as little as $0.50 per spin), a greater range of unique titles unavailable at brick and mortar casino venues, bonus payouts and even player friendly rules such as La Partage and En Prison. Register a a free account with GdayCasino.com, make the most of the unlimited matched deposit welcome bonus for new players and browse through the fantastic assortment of RNG and live dealer roulette games.